Just as I remember it when my two children were small. My husband's great, great grandfather was on the building committee when this was built. Shame it is all cleaned up and lovely and totally underused. I'm trying to remember and visualise the stalls inside the market. The only one I can clearly remember at the moment is the toy stall as you entered on the left. My mum worked there in the early 60's on the makeup stall. I was about 10 at the time and loved going there and arranging all the different stands, I felt really important. I remember there was a stall that sold woollens next to hers. She also worked, as well, on a stall that sold canned and dry goods, a bit like a supermarket before there were supermarkets. Glad to hear that Ashton Market is thriving, I didn't get to visit it last time I was in the U.K., I look forward to seeing the new one. 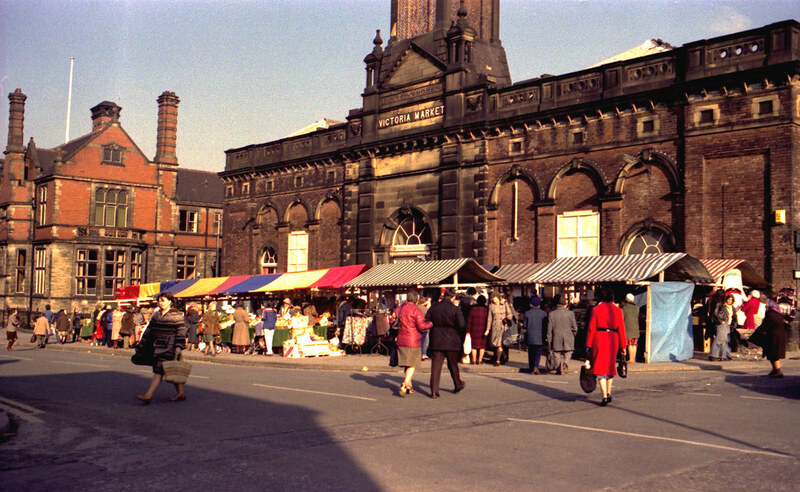 Hope Stalybridge market hall still looks the same,(i left the area 1970)love the stone work of the facade. We've been watching Turn Back the Clock, The High Street. A very interesting historical learning experience. They did Victorian, Edwardian, the 1930's and the Second World War. Still to come, the 60's & 70's. To be fair, I think we all enjoy the convenience and competitive pricing of modern shopping in an everything in one place environment. I remember the heyday of the Butcher, Baker and Candlestick Maker, though you would substitute Greengrocer there. The newspaper shop across the street, all this on the corner of Katherine St and Portland Street with Wadsworth chemist around the corner. There is a move here to eliminate plastic bags they end up in the middle of the pacific ocean, we already use reusable bags in our household. Glad to hear about the plastic bags. We've been using our own for years now but it surprises me how many people still have a couple of dozen new bags at the till when they do the weekly shop. Funnily enough it's the younger shoppers in the main. My mum worked there in the early 60's on the makeup stall. 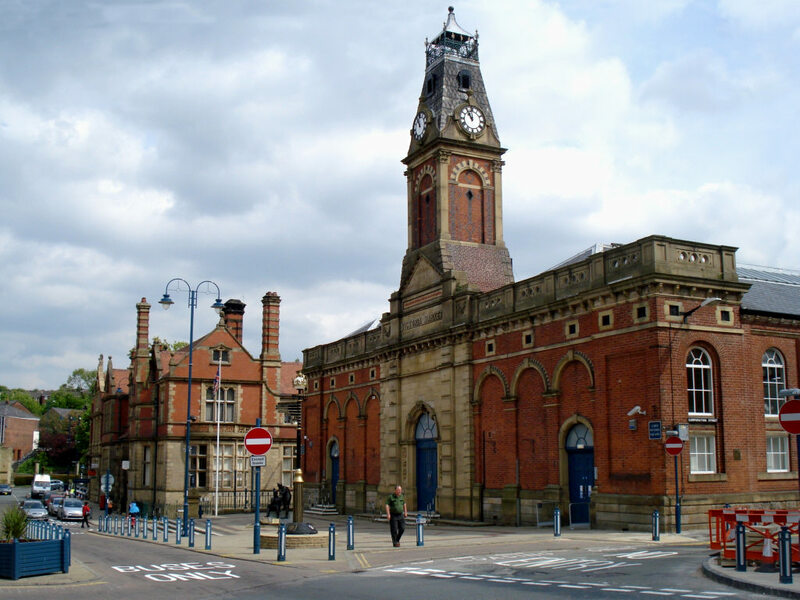 I was a regular customer to that makeup stall from 1962-68, when I worked at the town hall. Denise, I've just remembered that your friend was Erica Hamer, if you look at my recent post on Student Nurses, you will see that I have a link to a group of photos I took when a student nurse, Erica is on quite a few of them. Cheers, Vanessa, thanks for remembering. I know she's on the end of the back row on the coloured one. I've added names to the photos now, so you will be able to see where Erica is. 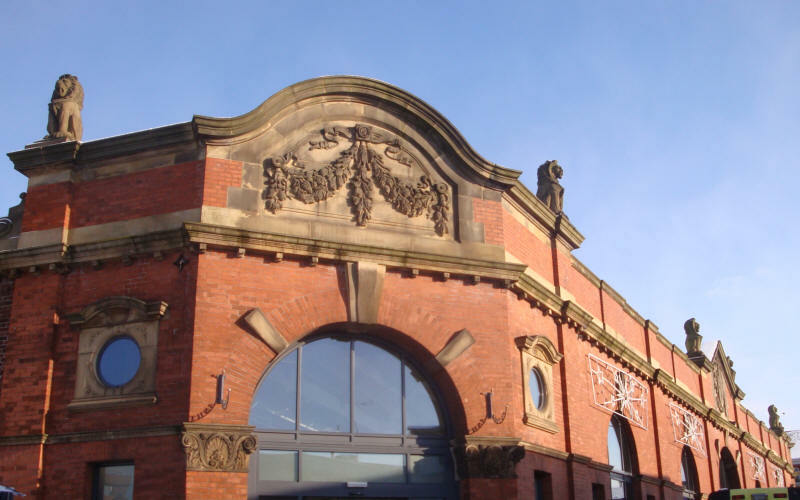 A wider view of Stalybridge Market Hall. Not a lion to be seen. 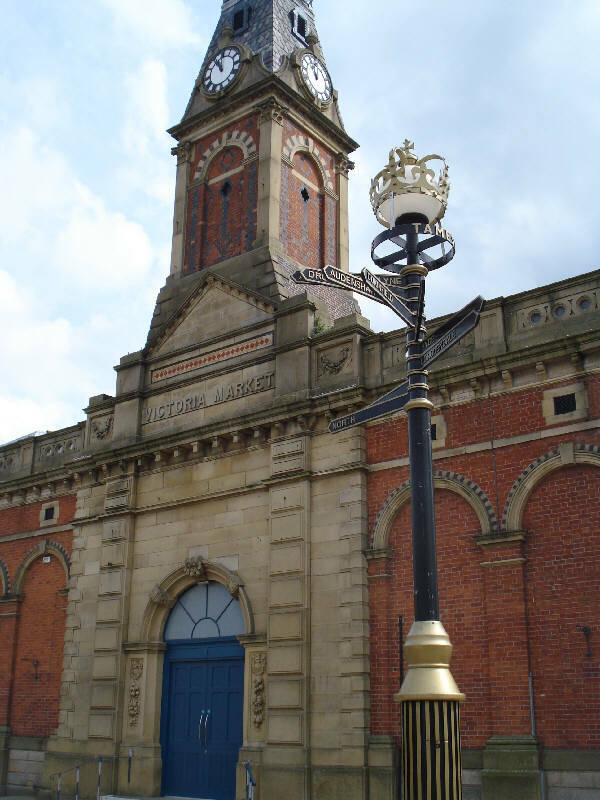 Were you possibly thinking of Ashton Market Hall, Greeny? 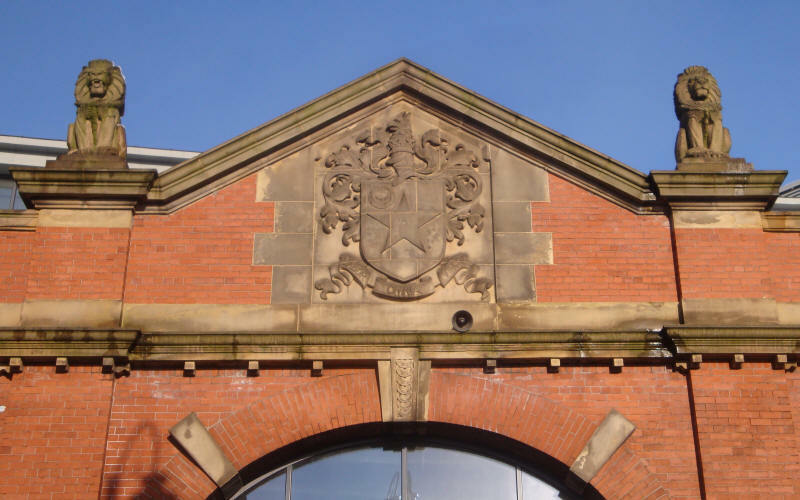 Plenty of lions on Ashton Market Hall!